Hi there! 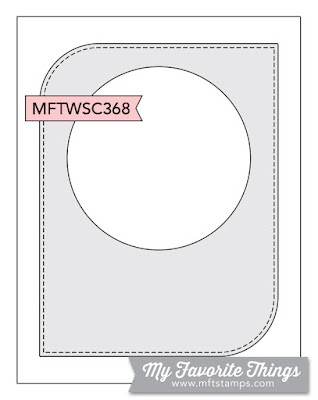 I'm back with another fun MFT Wednesday Sketch Challenge #368. For today, I made a fairly simple masculine card using the adorable BB Viking stamp set and the coordinating die. I had to get a little creative with the sketch because I really wanted to use the Viking I colored with Copics a few days earlier. I basically turned the sketch around and used the Viking for the circle element. For the background, I used the brick stencil with Antique Linen Distress Oxide to create the wall leaving the bottom blank. I then applied Walnut Stain and Vintage Photo Distress Oxide to create the floor for the Viking. After, I die-cut the wall panel with the largest die from the Stitched Mod Rectangle Stax. Then, I die-cut A2 size Olive cardstock with the same die for the outside frame. To assemble, I mounted the die-cut olive frame to a top folding card base with mounting tape, then I adhered the die-cut wall panel on the inside. 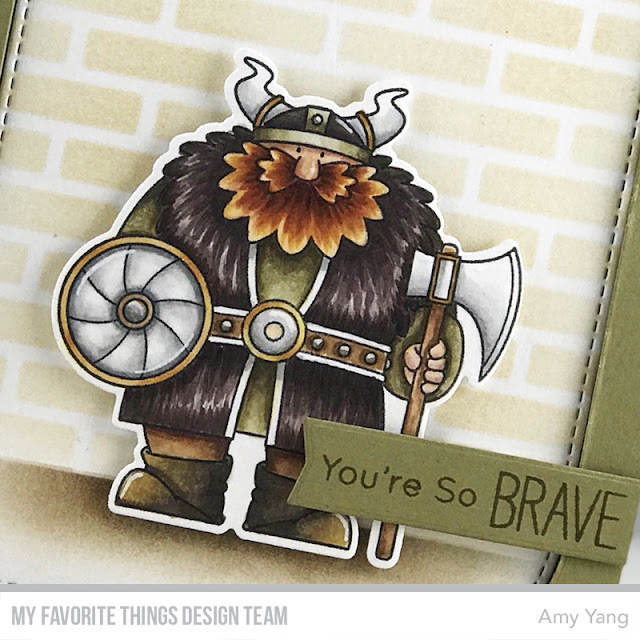 To finish, I mounted the Viking and the sentiment to the front of the card as shown.